At my house, it wouldn’t be a dinner party without the smoke alarm sounding at least once or my Shih Tzu, Ewok howling to the top of his lungs and doing the happy dance each time a new guest arrives at the door. 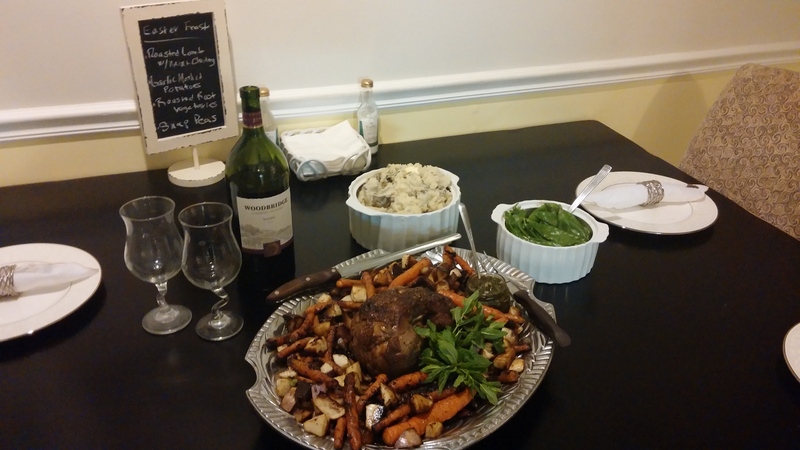 That was the scene on a rainy Tuesday night recently when I invited my boyfriend and two close friends over for an early Easter feast. It was an occasion special enough for fine china and the antique, linen seashell napkins my mother gave me. On the menu? I had visited the Statesboro Main Street Farmers’ Market earlier that day for some help with side dishes, and came across these beauties from Poor Robin’s Produce grown in Screven County. Though they took more work to prepare, roasted with a good quality olive oil and some freshly ground black pepper and kosher salt, the vegetables were tender to the taste and colorful on the platter. These vegetables keep giving and giving…with the leftover roasted vegetables from dinner, the next day I made the most hearty and comforting Roasted Turnip and Carrot Soup with homemade croutons. I’ve begun to think like a real chef, using up every ounce of the produce possible. I even garnished my soup with the green carrot tops. Turnip greens are up next. Leave the fat on the lamb. Don’t trim it. 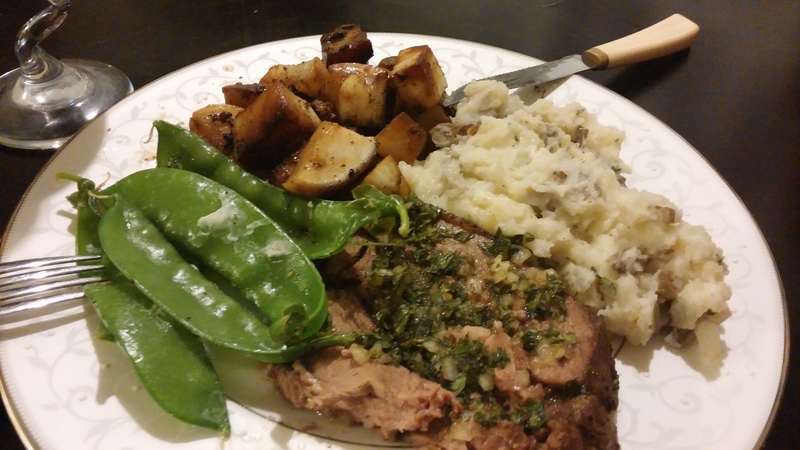 It adds flavor and keeps the meat moist throughout roasting. Pre-heat the over to 450 degrees. With a sharp knife, make small slits throughout the meat. Insert the slivered garlic cloves into the slits. Season the lamb with kosher salt and freshly ground black pepper. Drizzle the meat with about 2 tablespoons of olive oil, then massage the seasonings and oil all over the meat. Place the meat in roasting pan, fitted with a rack. If you don’t have one, a 9 x 13 casserole dish will work just as well. Fill the roasting pan with an inch of water. Roast the meat at 450 degrees for the first 20 minutes. Remove the pan from the oven and check to see if the water has evaporated, if so, add more. Reduce the heat to 400 degrees. Cook the meat for 20 minutes per pound for medium well, or 15 minutes per pound for medium rare. Reason #429 to visit your local farmers’ market: TO GET RECIPES!! When I purchased a large Zip-Lock bag of fresh mint, this little jewel was attached to it with a paper clip. In a medium bowl, mix the mint, onion, sugar, vinegar, cayenne pepper and salt. Cover the mixture and refrigerate 2 hours, or until chilled. I took great pleasure in carving the meat at the table to the sound of my guests’ ooos and ahhhs. These side dishes and our dessert rounded out the meal perfectly. 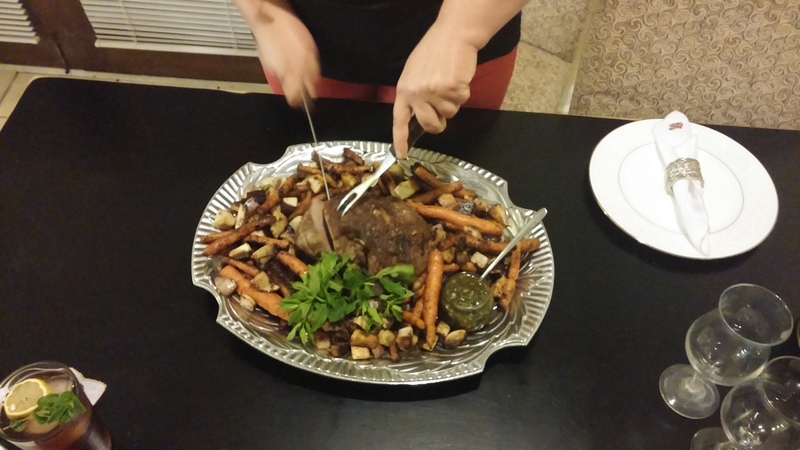 Leg of Lamb is definitely a cause for fine china. 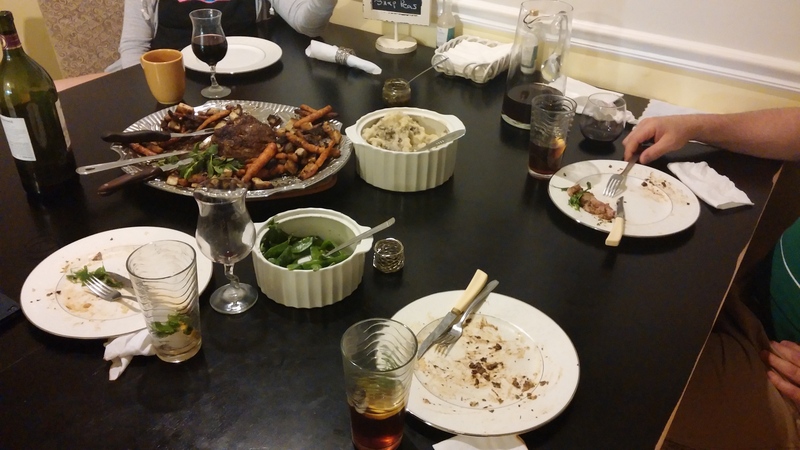 Empty plates all around = full bellies and full hearts. 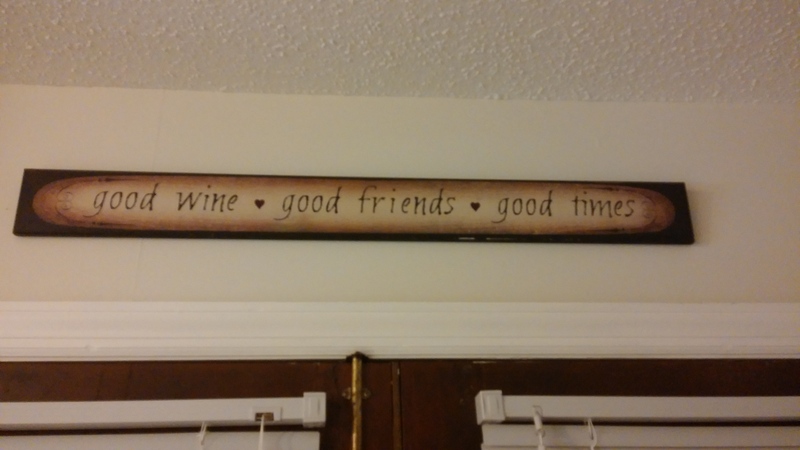 The sign that hangs above two french doors in my kitchen sums up the evening perfectly. Have you eaten lamb before? If so, how did you prepare it and what did you think?